Flip a coin. If heads, Red catches the Defending Pokemon and it's now yours. If tails, the Defending Pokemon breaks free from the Poke Ball and it's not yours. 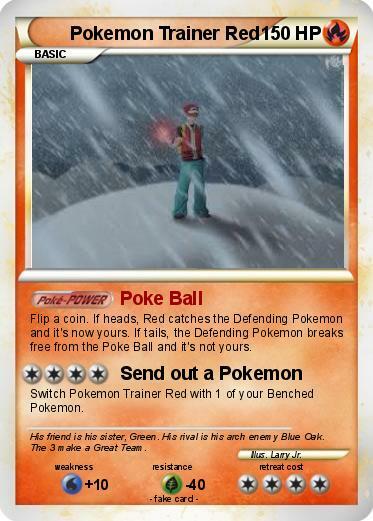 Switch Pokemon Trainer Red with 1 of your Benched Pokemon. Comments : His friend is his sister, Green. His rival is his arch enemy Blue Oak. The 3 make a Great Team.